One Thing: How To Make Bad Recruiting and Hiring History. What does SAP’s Acquisition of Qualtrics Mean for the Future of Corporate Feedback? We just described how SAP needed to stand out from the crowd in 2016 , with its biggest year for employment branding, by humanizing the brand and showcasing employees telling their life stories. As SAP’s Qualtrics acquisition ripples through the business and tech world, one clear message is being sent to leadership. At least in SAP’s mind, operational data (the process based data you collect in your ATS and other systems in your HR tech stack) has only limited value. Kronos Incorporated today announced a global agreement with SAP (NYSE: SAP) that allows SAP to resell Workforce Dimensions, the next-generation workforce management solution by Kronos, across its worldwide customer base under the name “SAP Time Management by Kronos.”. SAP $ 106,284 5.2% SAP Testing $ 106,203 n/a BABOK (Business Analysis Body of Knowledge) $ 106,001 5.0% Dice 2018 Tech Salary Report Released January 22, 2018 WHILE TECH SALARIES. REMAIN FLAT, EMPLOYERS. OFFER OTHER INCENTIVES. We sit down with Jenn Prevoznik is the Head of Early Talent Acquisition at SAP and she delves into how the company goes about hiring over. SAP’s Guide to Attracting Graduates and Generation Z. 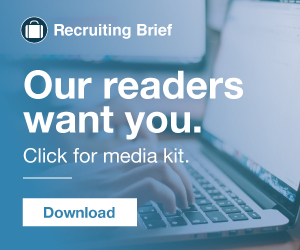 Employer Recruiting Employer Branding Employer Branding Podcast SAPThis week we’ll learn how a legacy tech company with a bit of a reputational issue turned itself into a talent attraction magnet with the help of their employees. Perhaps that’s why the enterprise software firm SAP—though well known in business—is not a household name, even though most of us likely interact with the firm’s technology every day. With reach like that, SAP is a large employer, with over 88,500 employees in 130 countries. Join Deloitte SAP and PowerToFly (a community that connects skilled professional women with each other and companies that value diversity and inclusion) for an invite-only event on April 4th. Sap Women in business Women in tech Chicago Live event Networking Women at deloitte DeloitteIf you are based in the Chicago area and you are interested in attending this event, please email us at hi@powertofly.com to be considered for an invite. Well, SAP, the monolithic German powerhouse of software, for one. Doesn’t SAP have its own software engineers? I saw a demo of SuccessFactors at the HR Technology show in Vegas…nice spiffy user interface but the premise of the feature demo’d…that a manager could do performance reviews of a group of employees all at once…assign 4 to John, 5 to Judy etc for a category like ‘enthusiasm’ or some horseshit thing like that. In addition to Microsoft Dynamics, Siebel Baan and a SAP course , you also have JD Edwards and Peoplesoft – 2 programs that Oracle acquired. This cutting-edge technology platform allows all the products within the mySAP suite package to operate within a single instance – the SAP WEBAs (Web Application Servers.) Users can access their SAP data with a mobile device as well as standard websites. What is SAP? How Do You Define a Transaction Using SAP Terminology? As ranked by Dice’s Salary Survey, the technology resulting in the highest pay for tech pros is SAP HANA, the high-performance analytical database application. Recruiting SAP HANA Web APIIf there’s one constant in tech, it’s the inevitability of change. The underlying technology powering the innovative products of today must undoubtedly upgrade to stay relevant to the consumers of tomorrow. I recently sat down with Matthew Jeffery , VP and Head of Global Sourcing and Employer Branding at SAP to learn more about how they are changing the recruiting statues quo. When we first talked about launching a cartoon, they were some raised eyebrows at SAP! CHICAGO, April 20, 2017 – SAP SE (NYSE: SAP) today announced SAP ® Fieldglass ® Live Insights, a new machine learning-powered data-driven insights service that makes it possible for executives to benchmark, plan, predict and simulate external talent scenarios. . The new SAP Fieldglass service is the result of partnering with SAP® Data Network® to create this capability that is powered by SAP HANA®. About SAP. We just completed a comprehensive briefing with SAP and SuccessFactors about product integration. Katherine Jones and I were impressed with the progress the company is making: SAP's engineering prowess is clearly being applied to this area in a big way. And SAP customers will see these integrations being applied to all of SAP's cloud offerings. […]. SAP picked up Callidus Cloud , which gave them Litmos. HCM Today Learning and Development Today 2018 year in Review AI digital Halogen learning technology Litmos LTG NetDimensions peoplefluent saba SAP WatershedBy David Wentworth , Principal Learning Analyst, Brandon Hall Group. Blog Posts News Technology bad recruiting candidate experience employer branding hr technology jeff mills Productivity Products Recruiting Industry sap successfactors TipsThere’s an old saying that the only real thing you can ever count on is change. 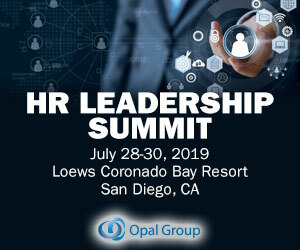 Human Resource Webinars News Upcoming Webinars Webinars Guillaume Vingtier hiring rdaily Recruiting sap webinar William TincupThe Future Called – Are You Ready? Price, Quality and Speed; natural relationships exist between these three business pillars. If you follow the Microsoft press, you'll notice that they have announced a partnership with SAP to create a joint product that basically puts enterprise application functionality into Microsoft Office products like Outlook. TempWorks will be beating SAP to the punch. There is big news at TempWorks this week. I'll give a hint now and put up a video clip by the end of the week. Daisy Hernandez, Global Vice President of Product Management for SAP Jam, explores the steps that businesses should take to bring employees of all generations together. Matthew Jeffery is a leading light in the world of recruitment and currently VP/global head of sourcing and employment brand for SAP, the world leader in software enterprise applications. I had the great honor and pleasure of attending Becoming: An Intimate Conversation with Michelle Obama on December 14th at the SAP Center in San Jose. During the same time we at SAP launched our groundbreaking Autism at Work program, with a goal of integrating people with autism into the workforce. Looking back five years ago, Apple was releasing the iPhone 5, selfies, and emojis were introduced to pop culture, and Twitter announced its IPO. Until recently, I had never heard of Rimini Street , a publicly traded company that provides third-party software support services to companies like Oracle, SAP, IBM, and Microsoft. In 2016 SAP needed to stand out from the crowd and have its biggest year for employment branding, with actual employees telling their own life stories.